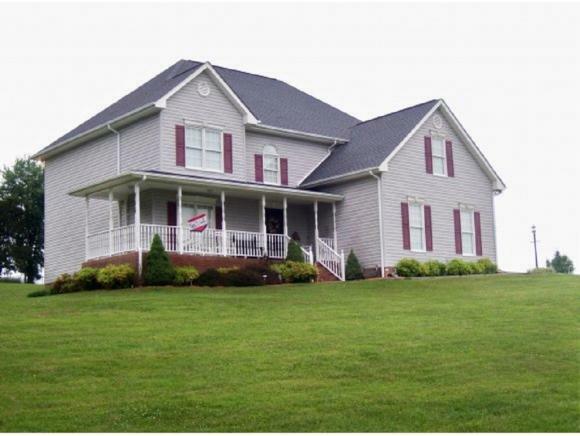 387 Providence Dr, Duffield, VA 24244 (MLS #418563) :: Highlands Realty, Inc.
Beauty and Privacy in one home. This home is everything you want and need. The 3 acres offers privacy and plenty of room for family fun. Whether sitting on the large front porch to enjoy the view of the mountains or relax by the pool on the back porch. Entering into the home you will find hardwood floors and tile in all the downstairs living spaces. A formal living room to the left of the foyer then connects to the Dining Room and opening the the Kitchen. In the open Kitchen you will find granite counter top and a bright breakfast area that opens to the cozy family room. The home features 4 bedrooms upstairs with the laundry upstairs too! The spacious master bedroom has 2 walk in closets and a vast en-suite with double sink, tub and shower. This home is ready for your family. Listing provided courtesy of Alicia Kern of A Team Real Estate Professionals.